This happens because the Responder has already registered their phone through the app, before you could add them to your Data Center, and they are now in a generic data center called Registration. The best way to avoid this from happening is to add your Responders to the website before they register their phones through the mobile app. After that, they should be seeing the same map in their mobile app as you’re seeing on the dispatcher website and should receive alerts when you create new incidents. If you continue to have problems it’s usually because the Responder didn’t follow the directions above or because they are registering with the wrong phone number. However, if you’re still having problems please send us an email to [email protected] with the Responder’s Name and Phone Number, and the Data Center you want them registered in. 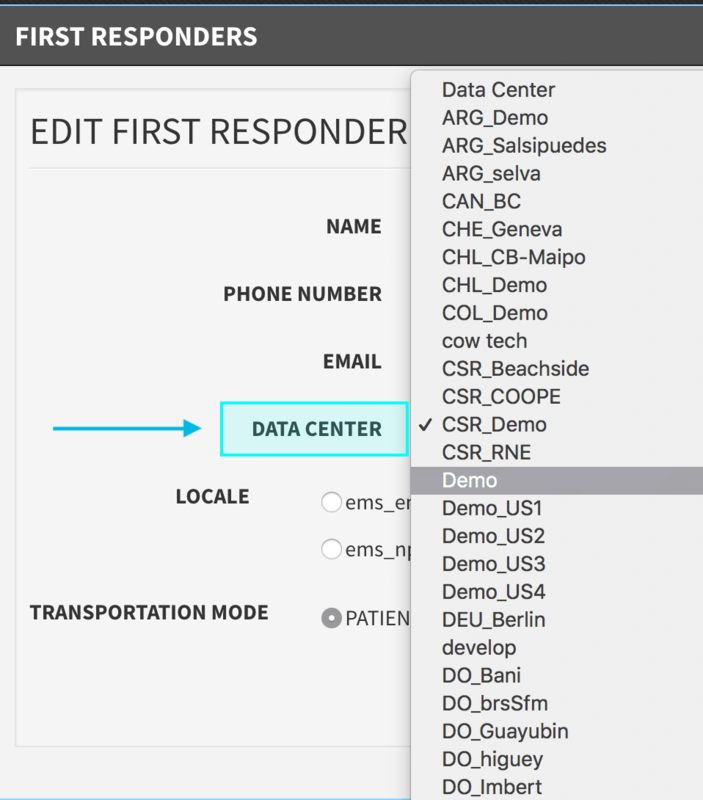 Or, if you have lots of Responders with the same issue, we can also give you access to the Registration Data Center where you can find your Responders and transfer them to your own Data Center. If this is not due to the Internet connection it’s possible that it has something to do with the complexity of the route directions. For example, if you are using it for demo purposes and the location listed in the incident alert is in a different country than you’re in, the app may have trouble determining and/or loading the map directions. To correct this, ensure that you are responding to incidents in the same country you’re in. Why is my dashboard map all blue? 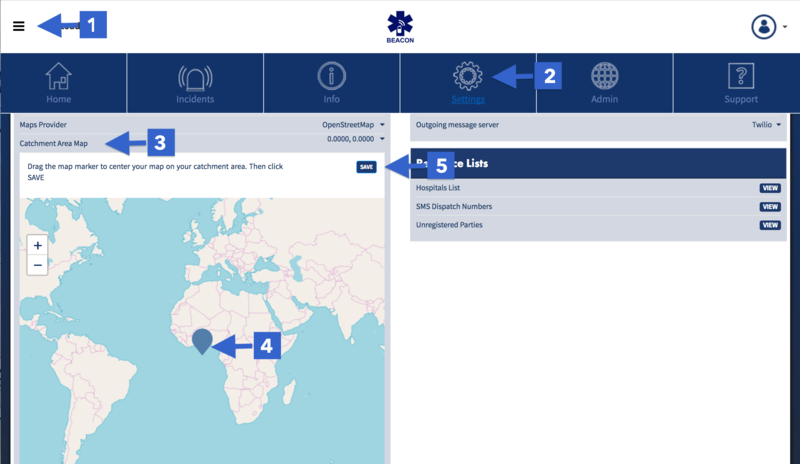 If you have just created a new account it’s possible your map may appear all blue on both the dispatch dashboard and the mobile app. This is likely because your map’s latitude / longitude are set to 0˚, 0˚, placing you in the middle of the Atlantic Ocean off the western coast of Africa. If this is the case, the map will continue to focus at these coordinates until you change them. There are several things which could prevent an incident from being created through the Create Incident page on the dispatcher website. If this is the problem, a warning notification should appear on the screen. To fix the problem, go to the dashboard and click on the Resources tab. If no Responders appear, add some. If Responders appear but are colored red, you will have to make them available (green) or log new Responders in. When Responders are muted (as shown below by the Red Audio Icon), they will not receive any alerts. If all of them are muted, Beacon will behave as if no Responders are available (even though they are colored green). To resolve this go back to the dashboard, click on the Resources tab, and unmute the Responders by clicking the Audio Icon so that it turns back to gray. 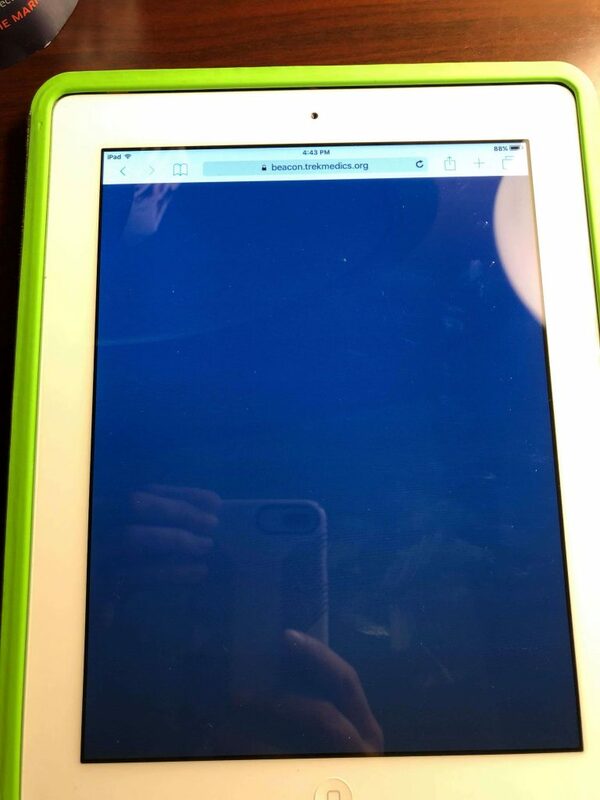 This may be because your internet connection is too slow or because you are trying to access the Login page on an iPad or iPhone using the Safari app. The Beacon web pages have not yet been optimized for Safari or Internet Explorer so we’d kindly suggest downloading the Chrome or Firefox mobile apps for your iOS device . We know the Beacon web pages may sometimes work while using these web browsers, but it’s not a guarantee. Firefox and Chrome are much more reliable. Similar to Scenario 1 above, it’s likely due to your Internet connection or the web browser you are using. Beacon has been optimized for Firefox and Google Chrome web and mobile apps — but not for Safari or Internet Explore. If you’re using an iPad or iPhone, or are using a laptop running Internet Explorer, we recommend you download Firefox or Chrome to access Beacon. If you are sure you’re entering the correct login credentials, try erasing your browser’s cookies, cache, and history, then try logging in again. It may also be causing problems if you are trying to access the Beacon web pages through Safari or Internet Explorer. Beacon has been optimized for Firefox and Chrome, but not yet for Safari or Internet Explorer, so we recommend you download Firefox or Chrome in order to get the best user experience for Beacon. Every box on the Create Incident page needs to be filled in. Even if you don’t have all the info — like, for example, the caller’s name and number — enter some sort of info, like “Caller Name: Anonymous” and “Caller Number: 1234567890”. If you’re not sure where the exact location of an incident is on the map, put the map marker somewhere nearby and enter more details in the Incident Description box to let responders know the map location may not be correct and provide any additional info you have about the actual location of the incident. How do I get rid of the White Loop in the Beacon Mobile App? 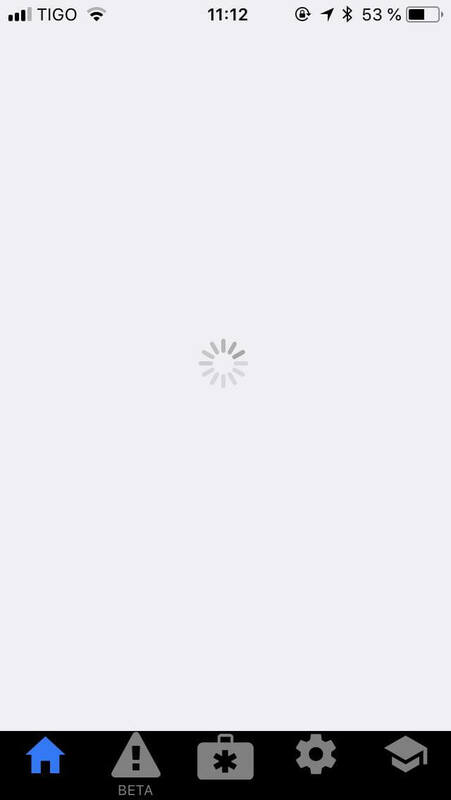 It’s possible that some users may see a white loop in their mobile app upon opening it. This can be for several reasons, including for poor internet connection or when using an old version of Beacon. Another common cause happens when an incident is created without including a location on the map. It will show up on the Incident Summary Card as “Unkown Geo Coded Location”. The way to remove the White Loop is to create an incident that includes a map location, then ask users to close and re-open their app and they will be able to use the app as normal. It’s possible your Responders are seeing a random map in their mobile app that’s different than your catchment area. To make sure Responders are seeing the same map as Dispatchers are, they have to be in the same data center. The best way to ensure this is to add your Responders to the website before they register their phones through the mobile app. 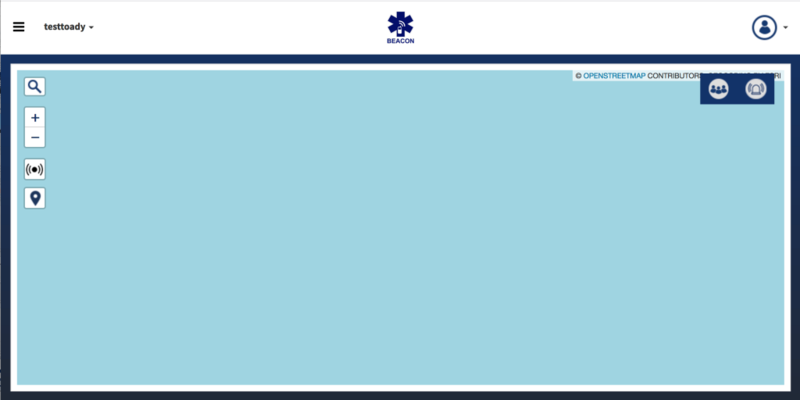 After that, they should be seeing the same map in their mobile app as you’re seeing on the dispatcher website. If you continue to have problems it’s usually because the Responder didn’t follow the directions above or because they are registering the wrong phone number. However, if you’re still having problems please send us an email to [email protected] with the Responder’s Name and Phone Number, and the Data Center you want them registered in. 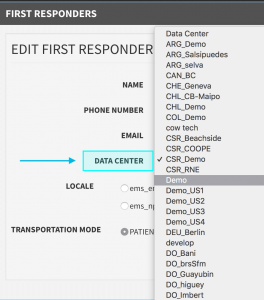 Or, if you have lots of Responders with the same issue, we can also give you access to the Registration Data Center where you can find your Responders and transfer them to your own Data Center. Beacon is a text message-based emergency dispatching platform designed specifically for communities with limited access to emergency care and transport. Beacon enables to communities to leverage their own resources in order to design, launch, manage and sustain their own emergency response networks on any phone, with or without internet connection, and anywhere there’s a mobile phone signal. Can I use the Beacon app if my phone has two SIM cards? No, your mobile phone can’t have two SIM cards in it. Pick one SIM number to register your phone and remove the other when using Beacon. How do I configure the Beacon mobile app? It’s possible that you may receive an alert for a new incident, but nothing shows up on the Incident Details screen, like in the image at right. If this happens, close the app completely and re-open it again. 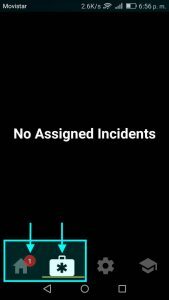 The Incident Alert should appear in the Incident Details screen. This typically happens when a new alert is sent while you have the app open. 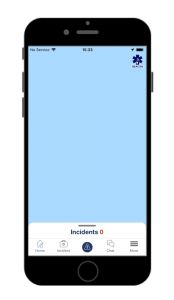 You can tell that it’s happening because an Active Incident appears on a map in the Home Screen with a badge, but nothing shows up on the Incidents Screen, as shown at right on the bottom of the screen. This bug will be fixed in a near future release. Can Beacon be used by fire departments? Yes, it can and it is! There is an asterisk to this claim, however — Beacon can be used by fire departments to dispatch personnel and equipment to the scene of an emergency, and it can coordinate their response efforts as they’re related to getting resources on-scene and requesting more, but Beacon does not help fire department manage fireground operations for involved structure or wildland fires. That requires radios, among other more advanced technologies. When new app users register themselves through the app they are pooled in a general Data Center we keep for anyone who wants to test the Beacon app without accessing the entire platform. Can Beacon be used by police departments? It can and it is, but we don’t pretend that Beacon was designed for police dispatching – it wasn’t. It just happens that sometimes Beacon’s a better solution than other existing dispatching software for police. Emergency medical dispatching is different than police dispatching in the fact that persons with medical emergencies are often easily convinced to stay and wait for first responders; criminal suspects on the other hand may be more difficult to persuade. This means that police are better served by more dynamic communications than text messages, including radios. Beacon is used by law enforcement in two countries to inform officers of the location of medical emergencies, and police officers also relay incidents they hear about to local dispatchers using Beacon, but at present the platform was not intended for police to use as their first-line dispatching solution. How do I switch my settings from DATA to SMS without internet? To switch your Beacon account from DATA messages to SMS messages when you don’t have internet to connect to the app, send an SMS with 789 to your Beacon number (ask your admin if you don’t have it saved in your contacts). 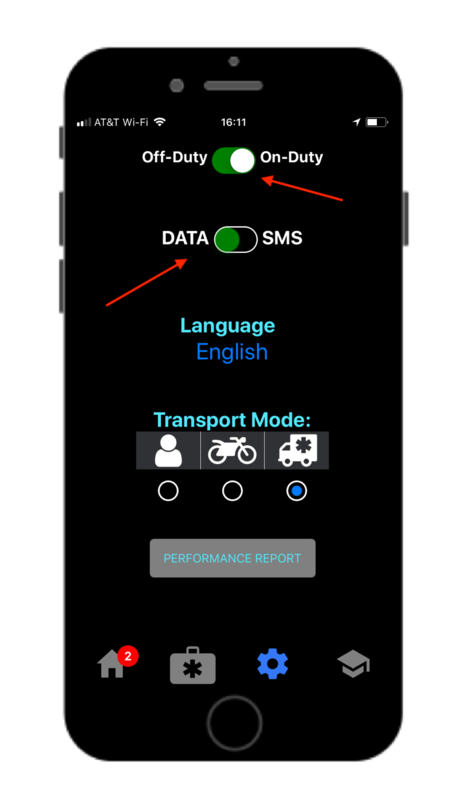 This will change your phone’s settings from DATA to SMS within Beacon and then resend the last Beacon message to you. No – not yet, at least. Beacon can’t replace radios at the moment, but it can drastically reduce the amount of chatter that typically occurs between dispatchers and responders by eliminating the need for redundant communications about predictable steps — for example, “Are you responding?” “Are you there yet?” “Do you need more help?” “Are you transporting?” “Where to?” etc. This frees up radios to be reserved for communications outside the standard commands and reduces the risks of open-mics, drained batteries, and poor radio signals. We don’t have any ambulances. Would Beacon still be useful to us? Yes, of course! Beacon was designed so that any person carrying a mobile phone could be dispatched to an emergency. Any vehicle will help get you to the location, and because Beacon communicates with mobile phones (and not mobile data terminals) whatever vehicle you use to transport to the hospital can be coordinated and tracked as well. What does it cost to run Beacon? Message handling — are you managing the message server locally or using our remote providers>? Call volume — How many incidents do you expect per month? Responder volume — How many responders will be involved? Technical support — How capable are you of managing the system on your own? Customizations — How much custom work and configurations do you need? All of these factors are bundled in a monthly or annual fee which includes use of all updates, enhancements and add-ons. What languages is Beacon available in? What do you need to set Beacon up? What makes Beacon different from other mobile dispatching technologies? Aren’t there already a bunch of messaging apps like WhatsApp or Facebook messenger that can do what Beacon does? In addition to the limitations above that come with texting, these kind of apps have additional problems when it comes to emergency dispatching. For one, using third-party apps, e.g,. WhatsApp or Facebook, may make sensitive data available to non-authorized parties or inaccessible to authorized parties. Even when secure, the real problem is scalability: a Twitter list or a WhatsApp chat group may be able to alert multiple responders to a single emergency, but dispatching the same responders to multiple incidents in different locations at the same time is far more difficult with these apps. 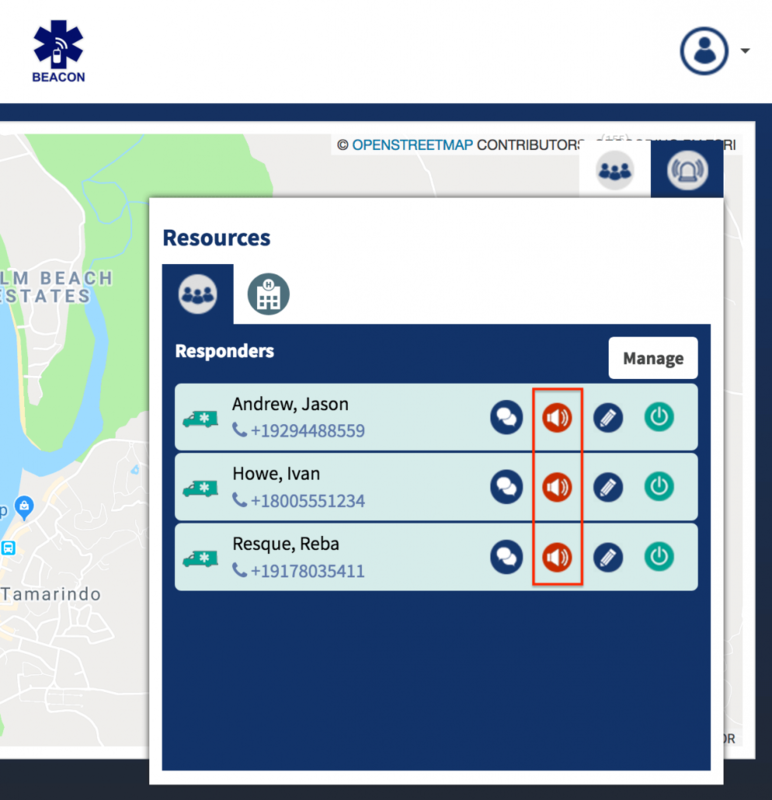 Beacon’s dynamic allocation algorithm knows how to efficiently manage emergency first responders to get them where they need to be. ¿Qué hace que Beacon sea diferente de otras tecnologías de despacho móvil? Beacon se puede utilizar a través de SMS o una aplicación móvil o ambos, lo que permite utilizar Beacon con o sin conectividad a Internet. Beacon se puede montar y desmontar en cuestión de minutos para implementaciones temporales o de corto plazo, o se puede instalar en servidores remotos y / o locales para operaciones permanentes. Yes, always! Please send us an email if you’re interested in getting involved with our software development team. Wouldn’t Beacon be more streamlined if it had no human dispatchers? 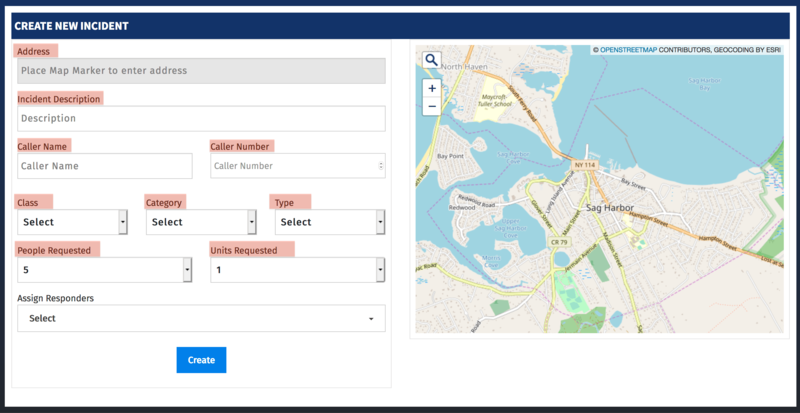 Why not connect callers and victims directly to responders? Why don’t callers or victims just text the emergency to the Beacon number instead of calling? Technically, Beacon allows that. Be we don’t recommend sending requests for emergency via text message (what’s commonly referred to as “text-to-911”). Typing out messages and sending them back and forth with a dispatcher is far more time consuming than speaking directly with the dispatcher, especially on non-smart phones and for communities with lower tech literacy. Also, pre-arrival instructions are difficult to both give and perform while texting— imagine trying to give CPR or administer a drug while texting with the dispatcher (vs. speakerphone, for example)! Don’t all of those SMS being sent back and forth get expensive? What is an SMS gateway and why do we need one? SMS gateways are dedicated telephone numbers that allow our Beacon software to send messages to and receive messages from your first responders. This way, the first responders can send their short text message responses to a phone number that’s easily saved in their contacts, and will receive messages from this same number at each stage of the emergency incident. How can I get an SMS gateway? In most countries, there are companies who can offer you a this SMS gateway and with a dedicated number for you to use with Beacon. You can help us get you started with Beacon as soon as possible by helping us locate an SMS Gateway. If you are familiar with the major telecom companies in your country or if you have contacts at these companies, we recommend reaching out to them to ask about an SMS Gateway. Internet searches will also help find local companies that offer gateways for use with Beacon, and this is often how we at Trek Medics find these companies ourselves. What questions should I ask when looking for an SMS gateway? For Beacon, you will need either a dedicated shortcode or longcode. The shortcode is typically a 5 digit number, while longcodes are longer. Many companies might want to give you a shared shortcode or longcode— this means that you share a number with their other clients. However, this typically won’t work with Beacon because sharing means that text messages will have to contain a special keyword to tell the company where text messages need to be sent. This will disrupt the normal workflow of Beacon. Also, it’s important that the shortcode or longcode be two-way. This will allow Beacon to both send and receive text messages to and from responders. Do you offer demo shortcodes/longcodes so we can make sure that it will work with Beacon? If there is an application process, how long will it take to get a shortcode/longcode? Will the shortcode/longcode work with all mobile phone carriers in this country? Is there a limit on the number of text messages or characters per text message that we can send through the shortcode/longcode? Can you provide info on pricing? What are the monthly/annual costs? What are the costs per text message sent? If the Beacon FAQ hasn’t answered all your questions, submit them here and we’ll get back to you with an answer as soon as we can.